Sgt. 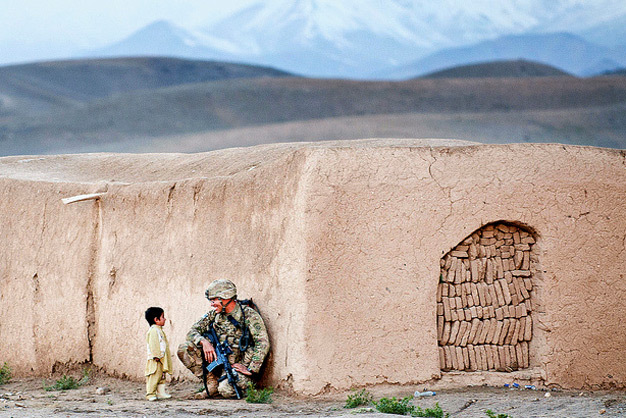 Joshua Smith, a paratrooper with the 82nd Airborne Division’s 1st Brigade Combat Team, chats with an Afghan boy during an Afghan-led clearing operation on April 28, 2012 in Ghazni province, Afghanistan. The soldier studied the Pashtun language prior to his deployment to southern Ghazni. US Army photo by Sgt. Michael J. MacLeod.